Huge amount of data is getting posted on Internet everyday. Most of the data has no expiry date, that means once you post information on Internet, it resides there almost forever (until service gets down). The embarrassing missive lives on and on, in the web service’s archives, in Google’s cache, and eventually in the Internet Archive itself. Researchers at University of Washington have created a new tool called “Vanish” to add expiry date to the online content. The system places a time limit on any message posted to any web service through a web browser. So how does this works? The most amazing thing about Vanish is that it’s capable of erasing messages posted practically anywhere on the web. 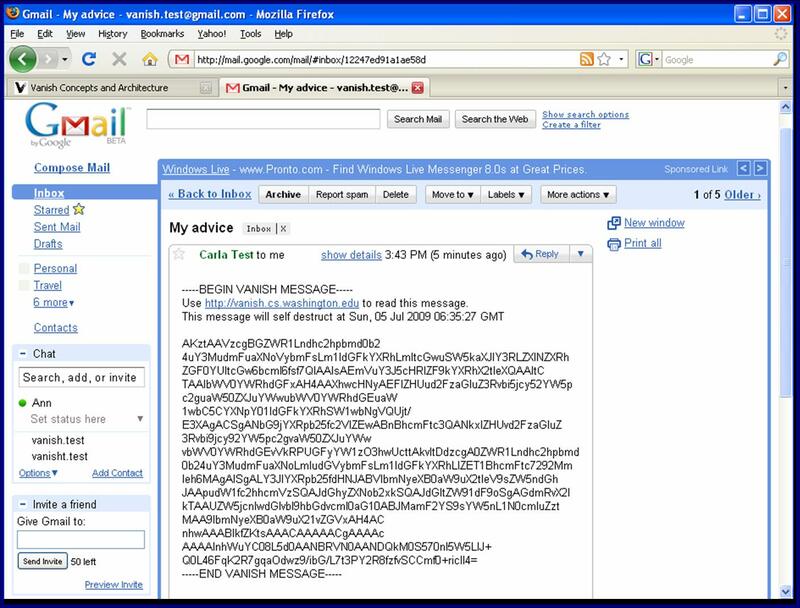 For example, the system is able to erase messages from any web-based email system like Gmail, Hotmail, or Yahoo, instant messaging chats, or even social networking sites like MySpace or Facebook. 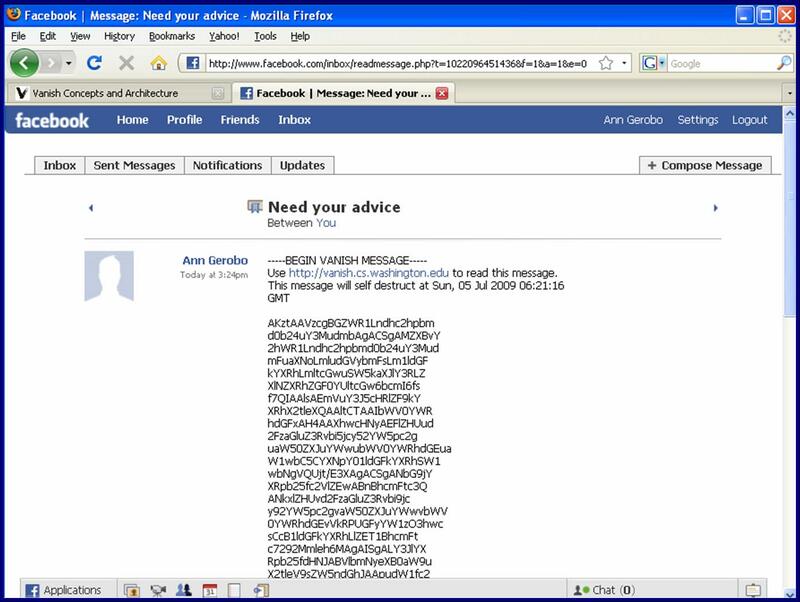 The messages sent with Vanish are encrypted with a secret key, never revealed to the end user. The key is then divided into dozens of pieces and sent out over peer-to-peer (P2P) networks – the same ones where music and movie files are traded every day. Because file-sharing systems are in a state of constant change, the various key parts eventually become inaccessible. Once enough of them are lost, the message can no longer be decrypted and read. In the current Vanish prototype, however, the network’s computers purge their memory every eight hours to simulate the key loss that would occur on P2P networks. Currently, the prototype is available as a free, open-source tool that works as a combination of downloadable software and a Firefox plugin. Both sender and recipient have to use the software and plugin in order for Vanish to work. If you would prefer to not install anything on your computer, there’s also the Vanish Online Service which you can use from your web browser. Both options are available here if you’d like to try them out now. I tried creating a self destruct message using Vanish Online Service and following is the output of the message.